The jury is in, confirming what most of us already know. Companion animals, dogs in particular, make us feel loved and valued, provide companionship and amusement, and can help us feel safer and more secure. Dogs can have a calming effect, especially when we are stressed. As a result, animal-assisted therapy (AAT) and animal-assisted activities (AAA) have proliferated. They are taking their place in the panoply of complementary and adjunct therapies. 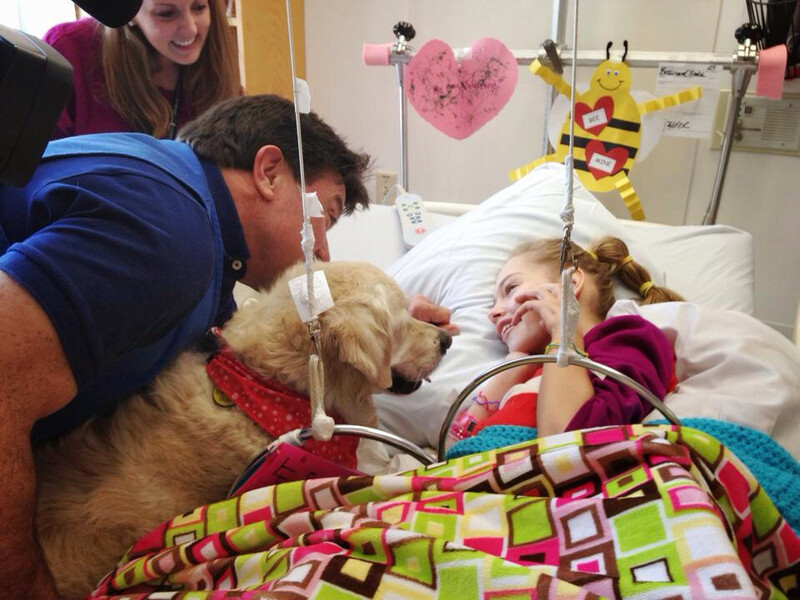 One of the most exciting areas where the “healing dog” is making a difference is for pediatric patients. A study conducted in a hospital in Pavia, Italy, sought to determine if just a 20 min dose of dog company during post-surgery recovery could help pediatric patients. 40 children, age 3-17, all got regular post-operative care, but half were also randomly assigned to a brief dog session. The dog (and handler) didn’t do anything special, but just were a friendly presence. Children who had the dog session had better recoveries. They reported less pain and became alert and active more quickly after anesthesia. A study of hospitalized children, those who had a 20-30 min session with a certified therapy dog reported less pain than a control group of children. An investigation of children in a pediatric oncology unit found that the children increased independent activity and appetite when a therapy dog was present. A study of 25 hospitalized children’s post-operative experiences found that those who spent some time with a dog, even if just watching television, petting the dog and snuggling with the dog, said that they felt less pain and less emotional distress. This last study had the virtue of interviewing the children about why this simple experience with a friendly but unfamiliar dog had such an impact. The children said the dog was a distraction from pain, a reminder of home, and served as company when visitors left. Many facilities balk at dog visitors out of sanitation and disease concerns. Happily, empirical studies of disease risk in children’s hospitals and clinics as well as in elder care facilities find no differences between institutions that are dog-friendly and those that keep canines out. 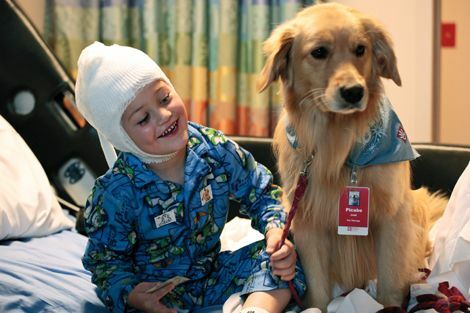 Moreover, there is evidence that a friendly dog helps hospital staff as well as kids. In one study on a pediatric oncology unit - a place where staff routinely deal with very sick and dying children - nurses reported improved morale and motivation as a result of dog visitors. So “dog healing” might just be a new and promising frontier in providing comprehensive, humanistic care for sick children. Watch out for side effects, like laughter echoing from the pediatric oncology ward and giggles from the post-operative recovery room. I am impressed with your view, I must say. Actually rarely do I encounter a blog that is both educative and entertaining.